JTEC's Side Mount Style Muffler for Profiles is designed for profile style airplanes that require the engine to be side mounted but do not have room for a side mount pitts style muffler. 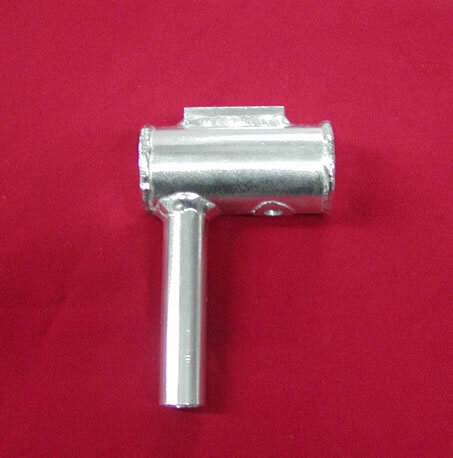 The Side Mount Style Muffler for Profiles is designed to be a simple bolt on type muffler that has one exhaust tube coming straight down toward the ground when the engine is mounted on its side.. The Side Mount style muffler is designed to get great performance out of your engine but it is one of the louder options we offer due the limited volume of the muffler. Also this is one of the best options for engines that have an angled exhaust port on them like some of the 3W Engines, the Zenoah G-45 and similar engines.